Do You Recommend a Transfer Cable for Transferring Files from My Old Computer to My New One? - Ask Leo! I plan to buy a new computer running with Windows 7. My present (old) computer has Windows XP. As an optional accessory for the new computer, I can purchase a Belkin Transfer Cable (which comes with its own software) to transfer everything from the old computer to the new one. Is this what you recommend? Or do you recommend something else? Typically, I don’t recommend this kind of approach. I know that software exists that claims to transfer all of your installed programs, settings, and so forth. I don’t have a lot of experience with them, but my understanding is that they are sometimes incomplete and can be problematic. Again, I’m not saying yea or nay to the Belkin software. I just don’t recommend it because it’s not typically something that I trust with a transfer as major as going from Windows XP to Windows 7. Instead, I suggest doing a couple of different things. If you’re already connected on a local area network, you don’t need a transfer cable to move files between computers. In other words, as long as your two machines are running at the same time and connected to the internet through a router, you can transfer files by connecting over your local network. This often is actually faster than some of the transfer cables that I’ve seen. If your computers aren’t set up to connect, networking can be difficult, but once you get it set up, it can be very easy to just copy individual files from one machine to another. If networking isn’t for you, then I recommend grabbing a good external hard drive and copying the files from your XP machine to that. Then you can take the hard drive to the new machine and copy the files there. When you’re done you’ll have an external hard drive you can then use for backing up. Speaking of backing up, that’s another approach: take an image backup of the old machine, placing that backup on that external drive. You can then then take that drive to your new machine and extract the individual files as needed. Since the image backup will have everything you don’t even have to remember what files needed to be copied. Be warned. People really want to be able to push a button and have all of their installed programs and settings on the old machine magically appear on the new one. I understand the desire. That’s why “copy all programs and settings” kinds of utilities are appealing. In my experience, things are just too complex to work that cleanly. There are incompatibilities, programs don’t transfer properly, and settings and stuff get lost. Instead, I recommend a different approach. Install the software that you’ll be using on the new machine. Move or copy the data that you care about, such as your documents, pictures, and spreadsheets, using the various techniques that we’ve talked about here: over the network network, by copying to and from a hard drive, or extracting from a backup image of the old machine. When all is said and done, you’ll have everything needed on your new machine, and perhaps even everything you need to back up regularly as well. Can I Combine Two Drives into One? - You can put whatever you want on your new computer; it's just a matter of transferring the data and organizing it! « Previous post: Would changing user names result in additional security? 5. 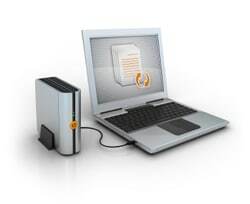 Transfer files either now or at your leisure with confidence that all files from old system will continue to be available to you for transfer to new system. One problem people may run into is the transfer of Programs/exe files. Transferring everything from one PC to another is not going to automatically install all your programs, settings and whatnot just as you had them set up. Specially if the hard drive being transferred from is on the fritz. You will have to re install all software, and set programs up with their proper settings all over again. This is why I do things a bit different. I do not rely on backup software. I copy Everything to a few different hard drives with a folder for software, that should a HD cop a failure, I can re install Everything on the new one, decide which software I want to install, run the .exe for said software and all without connecting to the internet until my Malwarebytes and anti-virus program of choice is installed. Then let the updates and whatnot do their thing. My backup system may be a little more time consuming, depending on how much/little I use the machine(s) but this way I know what i’ve got, where it is, AND most importantly that i’ve got it and don’t have to hope and pray my store bought backup program will work. I’ve yet to have one work without a glitch that prevented me from completing setup by the way, and I’ve tried the one Leo used to recommend as well as the latest one. Granted, I can only do this my way because I have Windows XP Pro, 7 Ultimate OS disks, and Windows 8 OS Disk that I ordered separately and paid for with my Laptop. When I get a new computer, I hire a computer geek to set it up for me and transfer my old files. Works great every time. Can files be transferred from Android tablet with Ice Cream Sandwich operating system via a USB cord to a Windows XP desktop? The USB cable did come with the tablet, so that seems to suggest files could be transferred? Depends on the specific device, but typically the answer is yes. If you connect the device with the cable it should appear as another drive in Windows. Yet, some migration tools may simplify the process. The link below is a review of different migration tools. I like the feel of a new computer or a fresh Windows install. It’s like a clean slate; a chance to get right what was wrong before or improve on what you had. Sure maybe what you had works, but is it really setup the best way for your current needs? Or are you just doing what you’ve always done. Sure the data has got to come over, but I see no reason to worry about programs and settings. I recently had to reinstall Windows on one of my computers. I took the time to think about all the software that used to be installed and thought about whether I really needed it. For example, I only use Excel on my laptop so what was the point of installing Excel on my desktop? The result is a sleeker machine that’s not bloated with stuff I don’t use. Why do you want to bring the bloat over to your new computer? Depends on the specific tablet (and computer). “Everything” may also not be possible – depends on what you’re trying to transfer. Programs won’t transfer, for example. You probably can’t do that. Especially if by “everything” you mean programs, or the operating system. First it depends on the type of tablet. Only a Surface Pro would be able to run any of your Windows programs. And you couldn’t download those anyway; programs always need to be installed fresh from their original media. If you are just talking about data, then you will need to make sure that each data type has a program that can open it. Finally if you are only talking about files you have that can be read on the new tablet (images, music, simple documents, etc.) then your best bet is to use some sort of cloud service. Those are available from numerous sources, Microsoft and Google both offer quite large storage for free. With Windows 10 out, what’s your take on the current crop of migration tools? I know you didn’t recommend them way back when, but it seems they are getting better.